The Carmela Coffee Table by Eurostyle features a classic, contemporary design that will blend harmoniously into a variety of modern settings while providing everyday function. 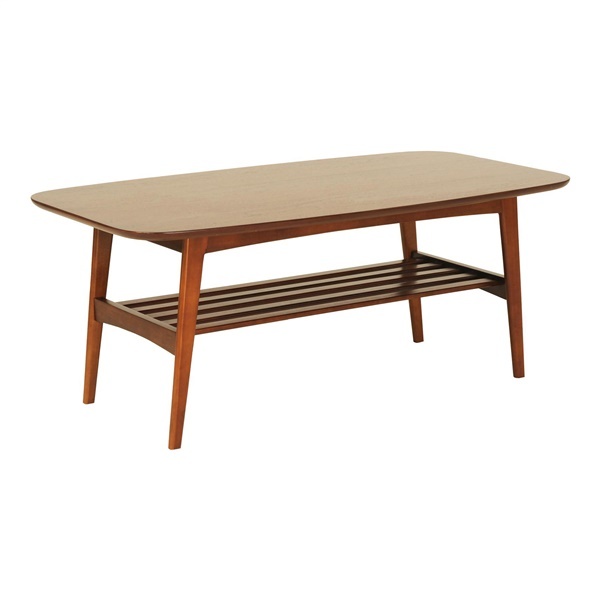 This modern coffee table features an elegant yet rustic design that includes a sleek, MDF top with walnut veneer and a solid wood base built with high quality craftsmanship to ensure durable strength and stability. The Carmela Coffee Table also features an aesthetic yet practical open shelf beneath the table top � perfect for storing and displaying books and magazines! To create a consistent look in your living space, pair with the matching Carmela Side Table, also by Eurostyle.